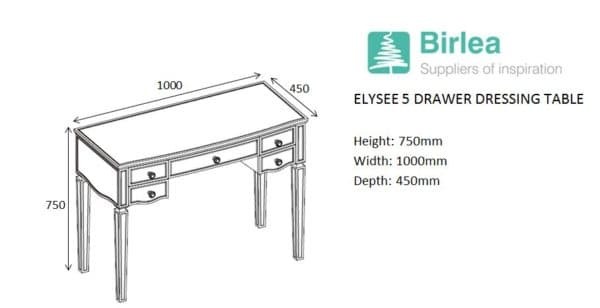 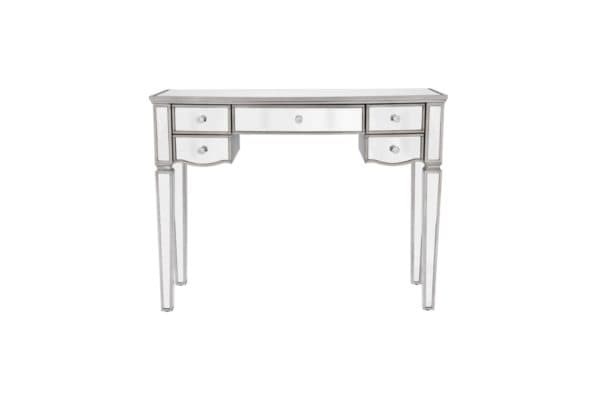 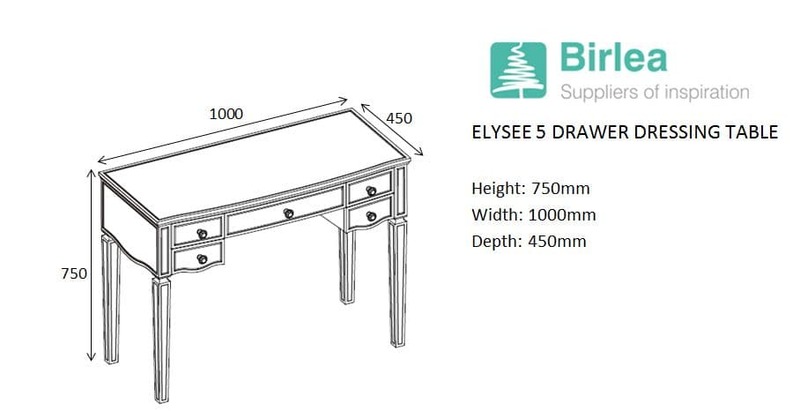 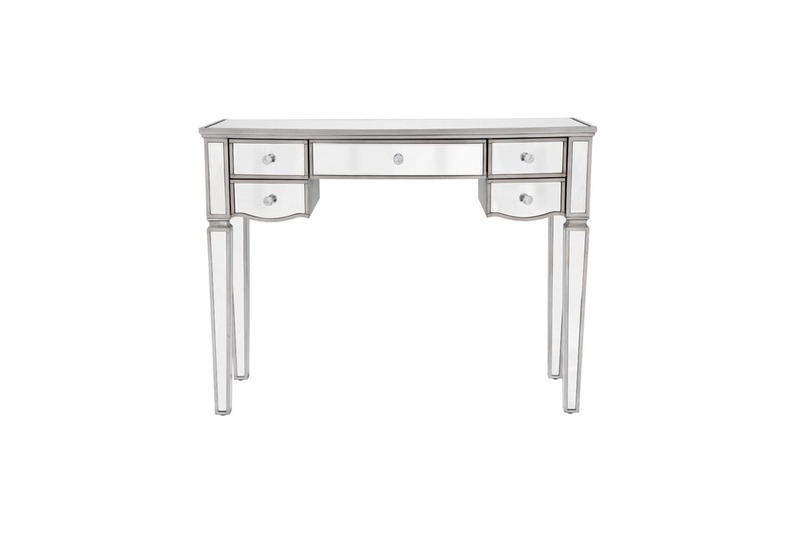 Give your bedroom a sophisticated finish with the Elysee 5 drawer dressing table. 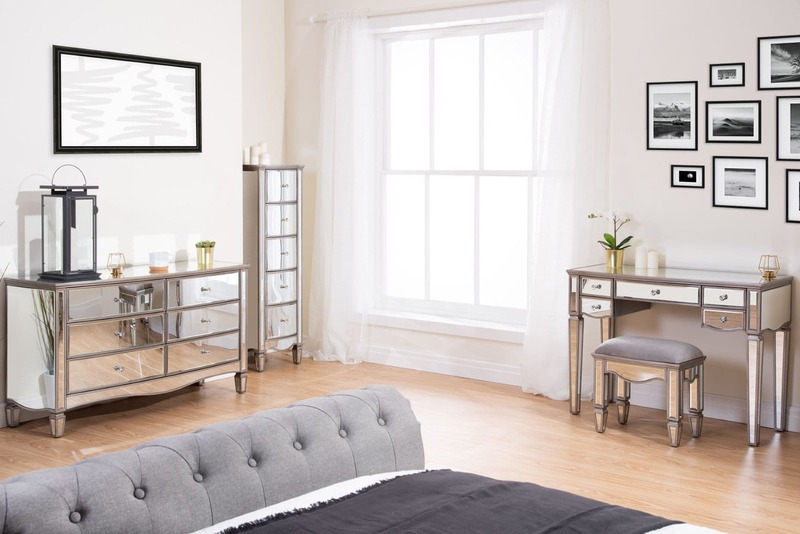 Elegantly made this 5 drawer dressing table is crafted in a clean, detailed design with a beautiful glass mirrored finish to provide a sense of space and light even in the dullest of rooms. 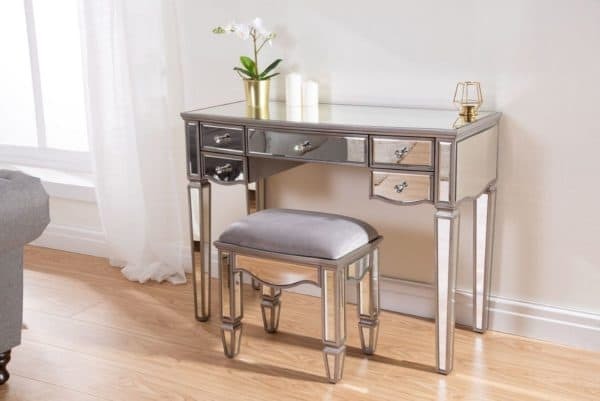 Complete with crystal handles, this Elysee dressing table features one large drawer, as well as four smaller drawers ideal for storing an array of products. All drawers feature a luxurious velour lining. 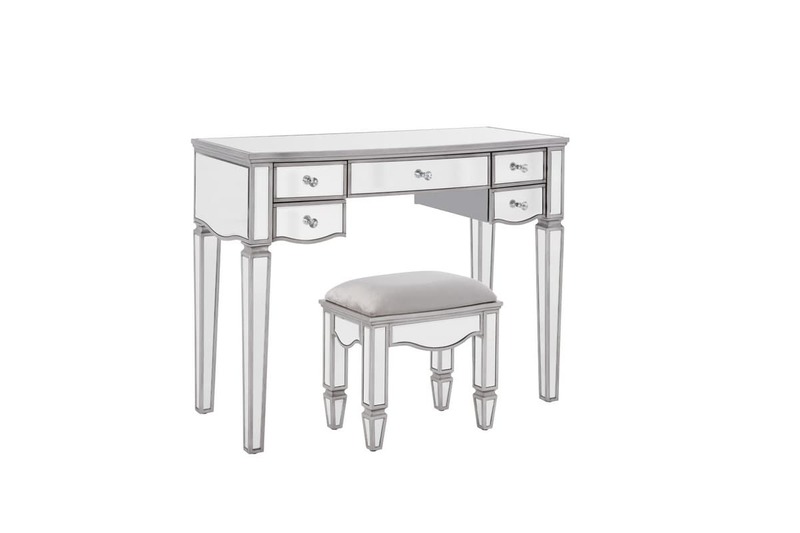 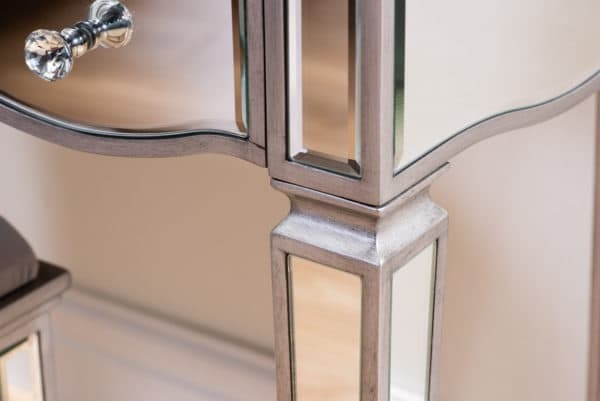 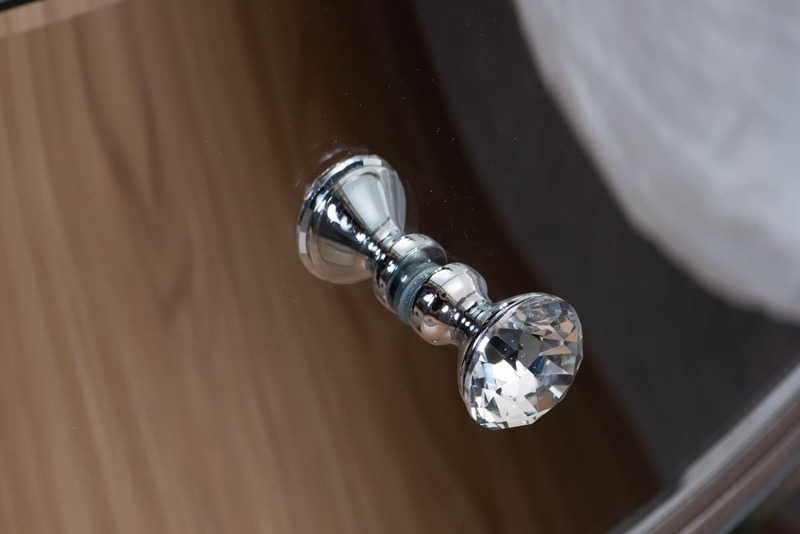 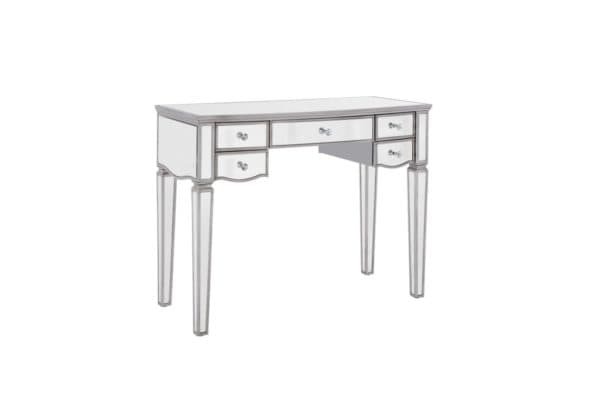 To complete the look we also offer an Elysee dressing table stool which can be found here.